Cherry Carpets bring the carpet showroom to you at any location, business or home, throughout London, Kent and Surrey. You don’t have to travel to a showroom, or try to picture what a carpet or floor covering will look like when fitted. You will see samples and match colours to the décor of your home on the very floor the covering will be laid. Our staff are constantly trained on the latest developments in carpets and floor coverings and can offer advice on colour, design, and the choice of materials to create the look and design that you want. 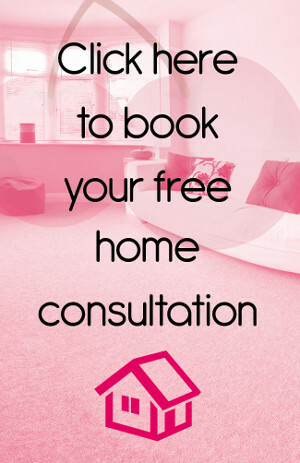 The Cherry Carpets home sample service is free of charge in all areas and you are under no obligation. We have carpet fitters based throughout London and the South-East so wherever you live in the area we offer you the full Cherry Carpets professional service. Our fitters are all employed by us, which means you get the benefit of fully accountable staff who pride themselves on their customer service. You also avoid the additional cost of paying a sub-contractors premium. All our staff are friendly and polite, and they are always punctual and turn up as arranged. When the job is finished, our fitters will clean up any mess and replace furniture. You can select your town from the list below and learn more about the services we can offer in your area, or you can contact us and we’ll bring the showroom to your home or business. If you are unsure if we cover your location give our friendly team a call, or send us a message. Contact Cherry Carpets.